The Bureau of Land Management (BLM) land on the inland side of the highway adjacent to the coastal State Park is now Cotoni-Coast Dairies National Monument. Francis Beach, at the end of Kelly Avenue in the City of Half Moon Bay. Venice Beach, at the end of Venice Boulevard off Highway 1. Dunes Beach, at the end of Young Avenue off Highway 1. Roosevelt Beach connects to Half Moon Bay State Beach via a walking path. 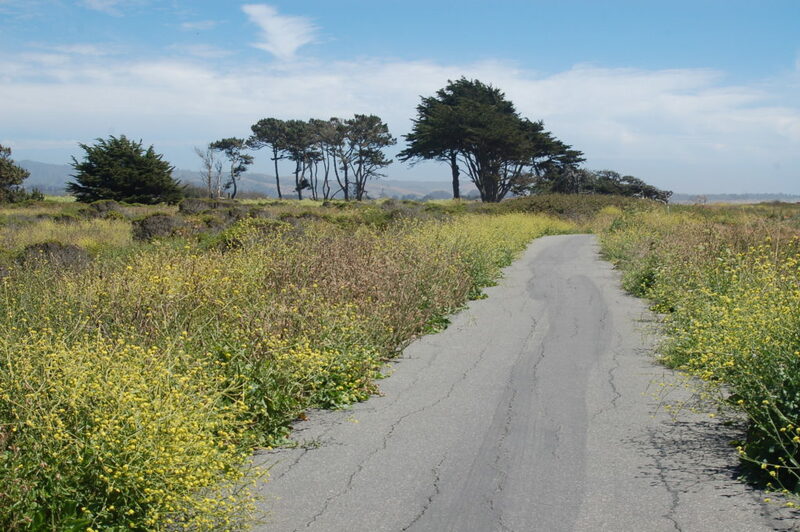 By Bus: Take samTrans route 17 to get to the beach. 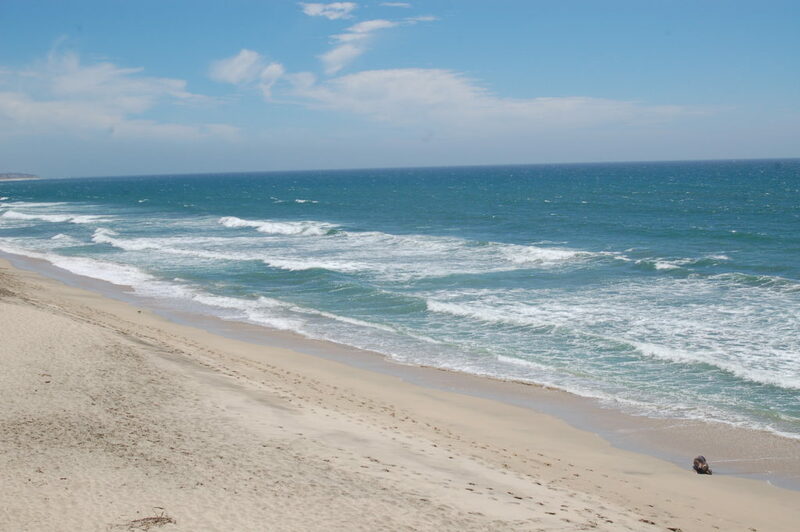 Swimming is not recommended here because of extremely cold water temperatures and unpredictable rip currents. Surfing conditions here are nearly impossible to forecast because of the unpredictable weather and surf action. From late spring through summer, Half Moon Bay is noted for good runs of surf smelt. Anglers use throw nets and are known to bring along great to catch the striped bass that sometimes follow the smelt. Coastside Trail runs along the eastern boundary of the four beaches providing close to a three-mile stretch to walk, jog or ride bikes. The trail continues north to Pillar Point Harbor. 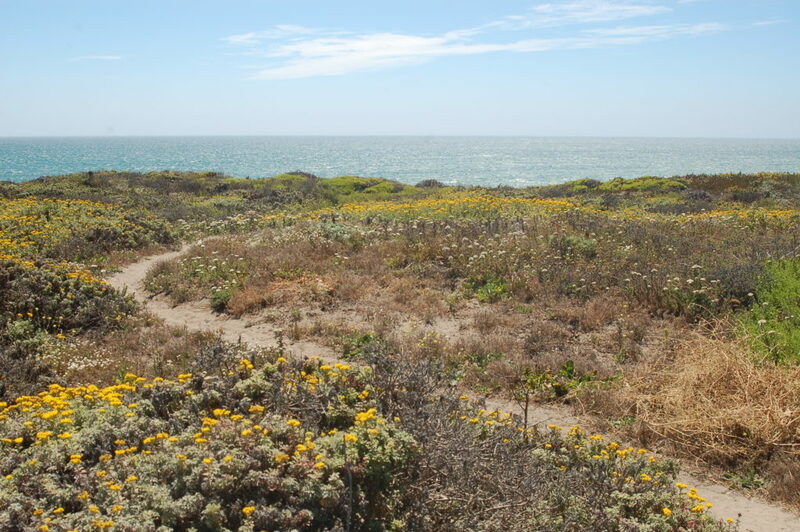 A horse trail parallels Coastside Trail from Roosevelt Beach to Francis Beach. While in the state parks, horses are restricted to the designated horse trail and are not permitted on State Beaches. Visit the Visitor Center for more information. Venice Beach has outside showers, flush toilets and a payphone. Francis Beach has sand wheelchair available to borrow. Learn more in the Hilltromper Beach Accessibility Guide. There are no lifeguard stations at Half Moon Bay State Beach. 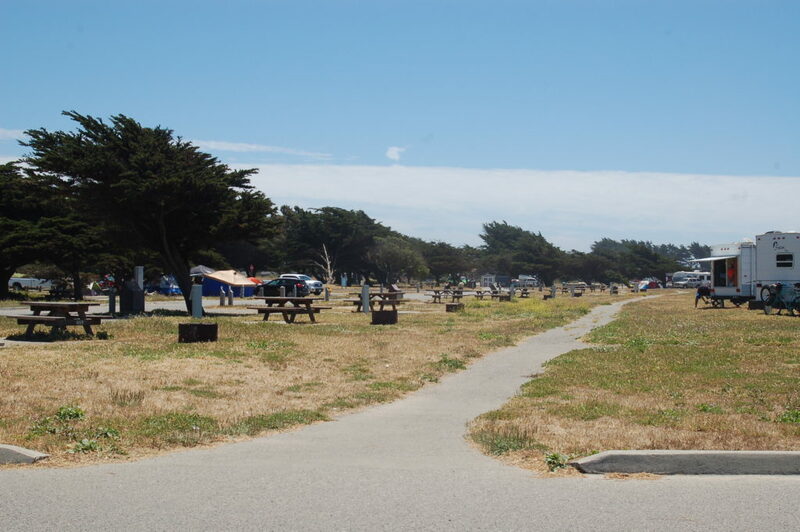 Francis Beach has a campground with 52 individual sites, some suitable for tent camping, others for trailers or recreational vehicles. Although hookups are not available, there is a dump station. Coin-operated hot showers are also available (2 minutes per quarter). 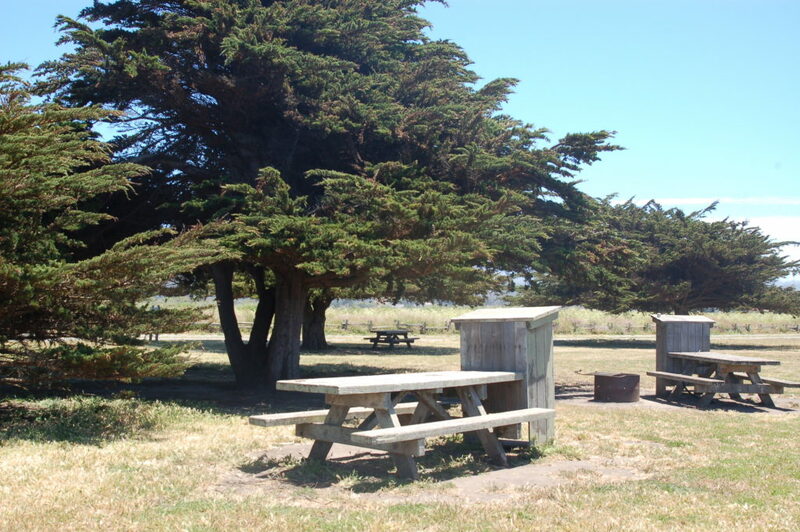 Half Moon Bay State Beach Campground is now on the reservation system. Campsite reservations must be made through ReserveCalifornia, 1-800-444-PARK (7275) or online. Maximum length for trailers, campers and motorhomes is 40 feet. View the Francis Beach Campground Map here. Contact the Half Moon Bay Interpretive Office at (650) 726-8819 for information about field trips. There are several ways to get involved at Half Moon Bay State Beach. Serve as host at the Visitor Center Park Store at this popular beach visited by hundreds of thousands of people each year. Participate in Plover Watch Program to monitor and protect this endangered shorebird, which nests on the coastal beaches. Participate in the Beach Restoration Project to remove invasive non-native plants and replace them with natives. Contact Ranger Nelle Lyons at (650) 726-8804, voice mailbox 7# or email to get involved. By the time Europeans arrived here, this area had been occupied for thousands of years by as many as 50 separate and politically autonomous native groups known as the Ohlone. Each group had its own leader, customs and territory, though some smaller groups were connected by shared boundaries, intertribal marriage and similarities of language. In the mid-1700s, Spanish missionaries arrived and drew the native people into the mission system. The decline in the Ohlone way of life began with the loss of their lands and grew rapidly with the introduction of European diseases. When the gold rush brought immigrants from Mexico and Chile to the area, the area earned the nickname “Spanishtown.” Its remarkable diversity began during the late 1800s, when groups arrived from Canada, Italy, Germany, Ireland, China, England, Portugal, Scotland and the Pacific Islands. The first official mention of Half Moon Bay is on an 1854 Coast Survey sketch of Spanishtown. Before Highway 1 was built, Prohibition (1920 to 1933) had caused a proliferation of speakeasies along the coast. This area’s hidden coves and thick fog made it perfect for the eagerly awaited ships of Canadian rumrunners to unload their illegal whiskey onto smaller boats headed north to San Francisco. Dogs are prohibited on the beaches at all times. They are allowed in the campground, in day-use picnic areas and on the Coastal Trail, provided they are controlled with a leash of no more than 6 feet at all times. No beach fires are allowed and fireworks are prohibited. Please refrain from removing shells, driftwood and other natural beach features. Permits are required for all events and weddings. For permit information contact: San Mateo Sector Office at (650) 726-8819.